I have this fantasy where I get some type of massive windfall and purchase one of my dream cars, a Singer 911. At over $300,000 those masterpieces are out of reach for most buyers. However, this modified 1970 911E from with a current bid of $25,000 will give you the look (sort of) for less. 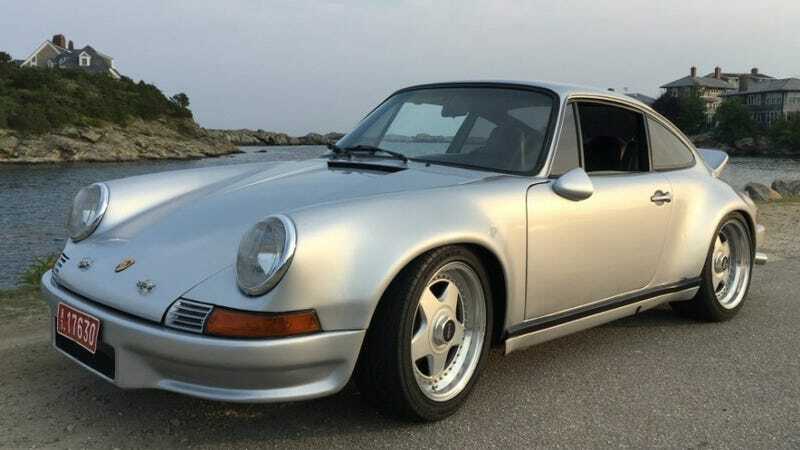 Some folks might not care for the mishmash of modern and retro mods, but this Porsche still has a great street presence and hopefully the bidding will keep the numbers reasonable.